ASM's Learning Expeditions are Traveling Master Classes! 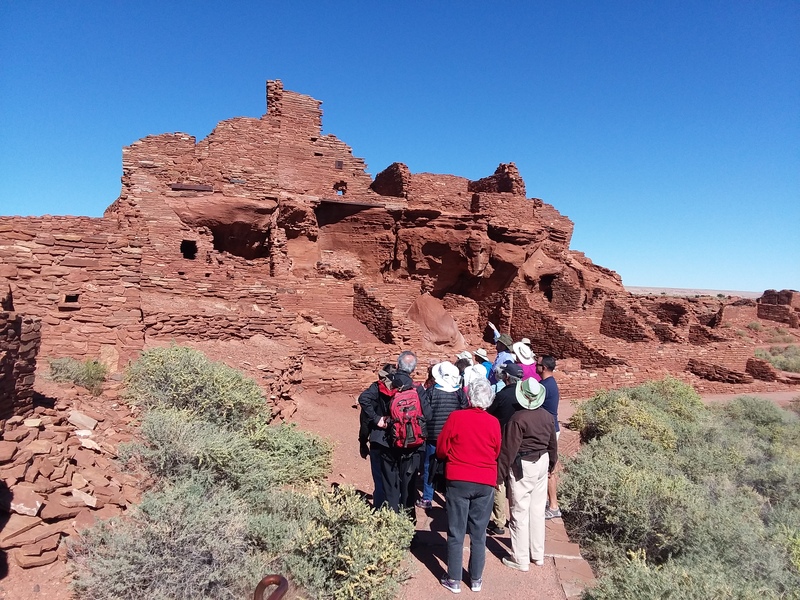 Travel with us for fun, educational, and life-enriching experiences led by ASM archaeologists and ethnohistorians. New adventures are added regularly so check back often or sign up now to receive our monthly newsletter. Travel to Eastern Museums with Us! Travel with us to examine late 19th century Hopi collections at the National Museum of the American Indian and the National Museum of Natural History in Washington, DC; the University of Pennsylvania Museum in Philadelphia; the American Museum of Natural History in New York City; the Brooklyn Museum in Brooklyn; and the Peabody Museum in Cambridge. Visits to other museums and some interesting extras included along the way. Registration is all inclusive. Email for details. Come and explore the mysteries of the Mojave Desert with us. Cold winters, hot summers, and less than 13 inches of rainfall a year mean that not much more than Joshua trees dot this stark landscape. Despite its inhospitable appearance, people have called this desert home since the arrival of humans in the Americas and continue to do so. Join us on this evocative trip into the deep past of northwestern Arizona and southern Nevada. Your tour leaders are Dr. Michael M. Brescia and Dr. James T. Watson! Email for details. Avoid disappointment and regret, sign up today!